Like a piece of medical equipment or an instrument of torture, there is something instantly recognisable about gym equipment, for what it is even if what it actually does remains a mystery, at least to the uninitiated. The unfit. This is unmistakeably a piece of abandoned gym equipment but how it works, what it is for, even how it must be put together in order to be used – such things are opaque at best and, happily, will remain so, a baffling puzzle never to be resolved. 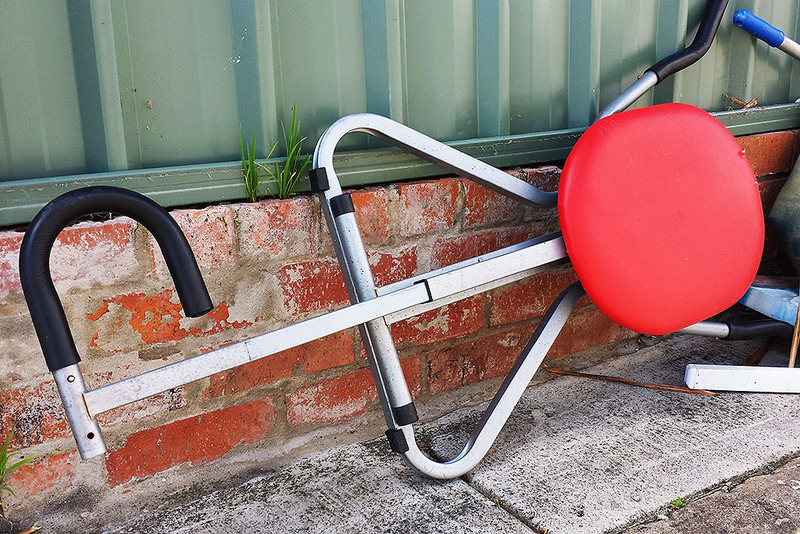 Find more dead gym equipment here.